Bring the color to your favorite lady's cheeks with this sweet bouquet! 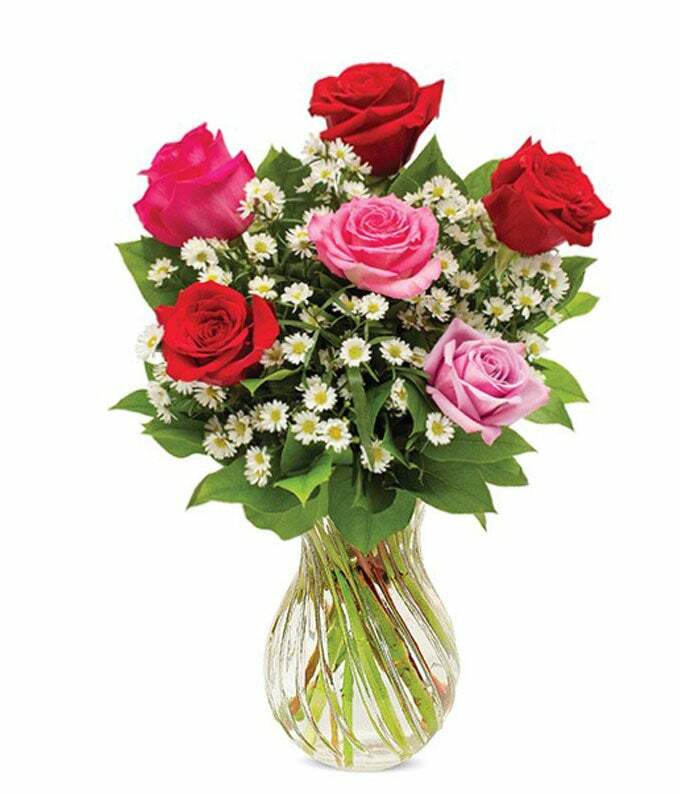 This mix of pink, red, and lavender roses is sure to reveal your feelings just as surely as the blush on your recipient's face will hers. Approximate arrangement Height 18", Length 12"